I came, I saw, I foamed. Successfully. This is the second dish Jane Black and I made together while she was writing her story for the Washington Post. Unfortunately, she had to leave for a meeting on the Hill before she got a chance to taste it, but Jim (the photographer) and I sampled it and filled her in when we were done. The reason I'm mentioning the Post story again is because this is a dish I sort of slacked on in the photo department. It was a little more challenging that the Caramel Popcorn dish in terms of delegating, organizing, prepping, cooking, cleaning and shooting all at the same time. It's so rare for me to have others in the kitchen with me when I cook -- don't get me wrong, I loved it -- it just got me a bit flumbozzled this time around. So, here's hoping this blog entry will make sense, because we kind of botched one of the steps. No wait, two. Yeah, two. It didn't make the dish a failure by any means; it just didn't "sing" like I expected or wanted it to. I blanched the tips and buds for 10-15 seconds and put them in an ice water bath to cool. Then, I cut the woody, gross bottoms off the asparagus stalks, cut the good part of the stalks into 1" pieces, and blanched them for about 2 minutes before pureeing them in my food processor and extracting the juice through a cheesecloth. While I was doing the asparagus, I tasked Jane with making the Meyer lemon purée. Here's where we made our second mistake of the day. The book says to "Quarter lemons and remove seeds and fibers." So, she quartered the lemons, removed what few seeds there were, and then we thought, "Fibers? Fibers. Wait. Fibers? Does that mean we should supreme them? Just remove the obvious bitter white thready stuff? Hold the phone, are we supposed to remove the peels? WHAT THE #$(%*$(* ARE FIBERS?" And this comes from two people who actually know a little something about food. So, we erred on the side of caution and removed the peels before pureéing the lemon pulp with the simple syrup before straining it. And, BBZZZZZZZTTTTTTTT, we were wrong. Jane found out later when she emailed Grant to ask about that step in the process, that we should've kept the peels on because the pectins from them would've thickened the final result. Dangit. You'll see in the final plating shot that we ended up with a salty, lemon juice on the plate as our base, and not necessarily a purée. Oh well. At least we made the mistake with the 75-cent Meyer lemon and not a $75 lobe of foie gras, right? Silver lining, and all. The next thing we made were the egg yolk drops. I thought fo' sho' I was gonna screw these up somehow. I had visions of egg yolks splattering or yolk drops popping and shooting hot butter into my eyeball burning off my corneas, because sometimes I can be a drama queen about potential and completely unrealistic cooking-related injuries. Instead, I nailed it, and then felt like a dork for thinking it was gonna be hard. I whisked together the egg yolks with some salt and strained them into a squeeze bottle. I already had a pot of hot clarified butter waiting on the stove, so I just began gently squirting the egg yolks into the pot, one by one, until they starting springing up to the surface. I gently lifted them out and put them on a paper-towel-lined plate to drain. If you saw the print version of the Post article, the photo of this step took up most of the front page of the food section (awesome!). In the online version, you can see a shot of me doing this in the slideshow that accompanies the article. And may I just take a moment here and say, dude. I am in a SLIDESHOW in the freakin' WASHINGTON POST. Man. That is damn cool. I mixed the Meyer lemon vinaigrette (Meyer lemon juice, grape seed oil, kosher salt) and used a bit to toss with the yolk drops we made (we didn't do all of them -- just enough for one tasting and a photo) and some asparagus buds and tips. The last step was making the asparagus bubbles -- which involved putting the asparagus juice into a tall, narrow container (I used a narrow mixing bowl), adding the soy lecithin, and using an immersion blender to blend/froth/foam. The dishwasher was full of the dishes we'd used to make the liquefied caramel popcorn, so I had to just pile all this up in the sink and surrounding counters as we went along, and I can't believe my shoulder blades didn't fall off from all the twitching that was going on. I'm a clean-as-you-go kind of cook, so this photo makes me extremely squirmy. I didn't love it. Neither did Jim (the photographer). We both took a bite, looked at each other, took another bite, and said, "Huh." It was kind of disappointing, really. Now, had I salted the water for the asparagus and used the peels for the Meyer lemon purée, would it have been earth-shatteringly phenomenal? I don't think so. Better, yes. But I think I went into this with really high expectations because the flavor combination was really appealing to me in print. But in execution, I didn't love it. When I look at this dish in the context of the larger Spring menu on page 53 in the Alinea cookbook, it's listed as being served in between the Ayu (p. 97) and the Wild Turbot (p. 102), both which seem to be dishes with some really distinct flavors and aromas, so perhaps this dish was intended to be a little more mellow, so as not to overwhelm the palate during the course of a full tasting menu or tour. That's the one thing that's unique about this book -- these dishes are grouped together seasonally in a menu of 25+ courses that are a natural progression from one to the next. So, to make some of these as standalone dishes or tastings out of their printed context might take some creative tweaking from the home cook. I think if I ever made this again, or any variation thereof, I'd have to add more salt and more acid to make it stand on its own. But that's just me. This wasn't a difficult dish, really, by most standards, and I didn't hate it. It just won't end up on my Top Ten Dishes list when I finish this blog. Of that, I'm quite sure. So, class, what did we learn? Salt the blanching water, and keep the peels on the Meyer lemons. And, that making yolk drops will not singe your corneas, so stop having irrational fears about that nonsense you big doofus. NOTE: Remember, if you're reading this post, you're probably not hungry. One in six kids in America is, though, so how 'bout you do something about it, mmmmmmkay? We've made some headway on this campaign, and I'm thrilled to hear from the folks at Share Our Strength about the donations that are rolling in. I'm even hearing some amazing stories about how and why people are donating -- one 13-year old girl here in DC is donating a percentage of her bat mitzvah budget to the cause; someone else emailed to say she's switching from a daily double latte to a regular drip coffee for the month of December and donating the difference in price; and, one Hill staffer decided to donate the same amount he would typically spend on drinks after work with friends all month. All good things, in my book. So, if you've got a roof over your head and food in your fridge, I hope you'll consider a donation to Share Our Strength, and enter to win one of five Alinea cookbooks, or one of two Under Pressure cookbooks. Thank you so so so much. You guys are a generous lot, and for that, I'm incredibly grateful. Resources: Eggs from Smith Meadows Farm, 365 organic butter, asparagus and Meyer lemons from Whole Foods, soy lecithin from Will Goldfarb, Roland grapeseed oil, Domino sugar for simple syrup. Music to Cook By: Again, we didn't listen to music while we cooked, because we... I mean, I was too busy yammering on about this, that and the other. However, you might be interested to know that I listened to this album while I was cleaning up. And it was just as awesome as the day I first heard it. I know, I'm trapped in the 80s. Sue me. No wait, don't. Read My Previous Post: Caramel Popcorn, liquefied. Would it bore you if after every post I commented, "you're my hero!" ?? I'm also surprised that the flavor combination of meyer lemon and asparagus didn't sing. I saw Ferran Adria speak last night, so I got to see his demonstrations on the "drop" process, or as he called it: caviar. Don't blame the salt or pepper omission for your "meh" reaction, though I'm sure they would have helped some. I had this dish at Alinea - while there were many things I enjoyed in our meal, this one was underwhelming. It was interesting to see in the cookbook that the egg "pellets" (which reminded me of pencil erasers) involve no magic powders, just a somewhat unusual cooking method. OMG- I SO love True Faith by New Order. Can't tell you how glad I was to see the link to the You Tube site. Have talked to several about that video-no one seems to remember it. Nice to know I am not crazy. It was one of my favorites, but I was always and still am an 80's new wave girl. The yolk drops are cool. (Hmm, egg drop soup!) So what *were* the "fibers," did I miss that? Your reference to Steve Holt made me laugh out loud. Um.... my sink looks like that most nights, even when I'm making something lame? Maybe you should have Grant on speed dial - these recipes are crazy!! Very impressed with your fortitude in the face of sputtering butter and soy lecithin so far! STEVE HOLT! Four more years! On that note, can we have four more years of Carol cooking crazy recipes for our selfish enjoyment? I think the "fibers" are exactly that. Those stringy white fibers that run between segments and in the middle of oranges and lemons. Just curious (not a negative comment), but is there a reason that all your photos look distorted (elongated) on this new blog site? I don't remember that from FL@H. Is it a new photo technique? GAAAHHHH! Am I the only one who can't look at foam without thinking of sputum? Looks like this is not the recipe that's going to ease me over my aversion. Sigh. I love to see that you're promoting SOS. It's so important that us 'food people' remember just how lucky we are, how truly unusual our situation is. Maybe it's just me or my computer, but is there a reason (artistic, perhaps) that many of the photos appear distorted and stretched? It's disturbing and takes away from the impact. Just curious. Any insight would be great. Firstly, I was reading the other comments and the photos don't look distorted to me. Secondly, keeping the lemon peels on reminds me of that commercial where the guy puts the entire avocado (pit and all) into the blender in an effort to make guacamole. Has anyone involved actually eaten the dish at the chef's restaurant? If you haven't, you're flying blind, which I don't mean in a critical way. I thought that about your previous blog, as well, but most of the flavors were familiar. Wow, what a complicated dish for such a little end product. You are so very brave and energetic for taking this on. Let me go off topic and ask you something about Meyer lemons. I tried them in a lemon cake today, for the first time . . . and found myself utterly underwhelmed. Did I miss the point or something? I'm sorry your dish wasn't as great as you'd hoped - it sure looks gorgeous. Zhopsik, yes. To me, it looks like cat barf. Sorry to be gross. Remember when Dana Carvey used to do George H. W. Bush impressions on SNL eons ago? Well, I imagine saying this in his Pres voice "Not gon' do it." Srsly, not gon to it. Iz too hard! But thank YOU for doing it. Okay, so it's the end result is the antithesis of the lush French Laundry machinations...and it sure is silly to make comparisons except, well, we're all here again, aren't we? My cranial jury is out on foams, but I am so happy you are doing this, and will follow along till the end. i love that i'm far from the only person who was distracted throughout the entire post by your mention of Steve Holt!!! now i'm going to be giggling to myself like a crazy lady for the rest of the day. "These dishes are grouped together seasonally in a menu of 25+ courses that are a natural progression from one to the next. So, to make some of these as standalone dishes or tastings out of their printed context might take some creative tweaking from the home cook." 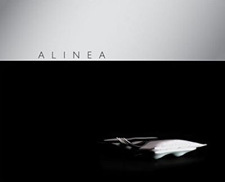 That's one of the main reasons I've been hesitant to start in on the Alinea recipes, my concern being that the dishes won't have the same impact taken out of context (or season) that they would in a 20+ course lineup. I was also perplexed by the lemon puree directions. I still don't know what lemon fibers are. But thanks to your interpretation, I successfully used it as a component in a dish I made: http://www.eatfoo.com/archives/2009/01/duck_breast_meyer_lemon_brown.php. Thanks.